Let’s face it , commercial real estate deals oftentimes require big down payments. Many new investors run into problems trying to save up that money themselves. They may even come across a great 36 unit apartment building that cash flows $5,000 per month, but they may not have the $200,000 to close a deal. What should they do? Give Up? 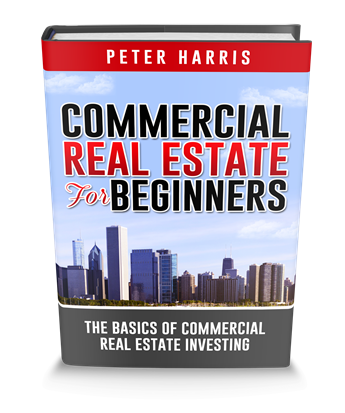 In this training, you’re going to discover how to raise money for commercial real estate from private investors using creative investing, self directed IRAs, crowdfunding, peer-to-peer lending, and commercial wholesaling so that even if you don’t have the cash on hand to cover the whole down payment, you can still do the deal. 1. Raising Capital From Private Investors. There are two reasons why you need to learn how to raise capital. It’s the best way to leverage your limited resources to do larger deals. When you see a new commercial building being built, for the most part, it’s not just one rich individual financing these buildings. More than likely, a group of people pooling their money together to finance a larger project. You want to be the leader of that pool. You want to be the person that knows how to raise the money. How Do You Structure a Deal With Private Investors? If you know one or two investors that are willing to put up all of the money for a deal, and you plan on having an active role in the investment, this can be as simple as using an LLC. Your attorney can establish the LLC and write up a operating agreement to spell out what each of your roles is. You will be the managing member of the LLC and they will just be members with a title. This is one of the most common structure when dealing with investors because it as simple as it gets. If you have two or more investors that are passive; meaning they’re not active, then things change quite a bit. This is called, “Real Estate Syndication” and there is a lot more paperwork and disclosures involved. You will actually need an attorney with SEC experience to help you. SEC stands for the Security Exchange Commission which is the branch of government that monitors fraud and scams when dealing with raising capital and the financial market. In fact, my next video will cover syndication in detail. It’s called, “The Basics of Real Estate Syndication”. How Do I Know if My Deal is Good Enough to Attract Investors? Good deals attract money. A good deal will attract interest and this is exactly what we teach our students. You don’t want to bring an overpriced deal to your investors. People like good deals. You want your deal to have income upside. In other words, you want the rental income to be capable of going up over time instead of down. As the net operating income of a commercial property goes up, so does the value. You need to show your investor that you have a plan and that the property is fully capable of increasing income, therefore increasing in value. Your deal must have excellent cash and cash return. What’s your 401K or IRA cash return? If you’re getting 4 1/2 to 5% return on investment on your IRA it’s going to take 16 years for your investment to double. That’s a very long time and you could be way past retirement by then. The market must be a good one capable of sustaining your investment for years to come. You must know all of the market demographics; the economic trends, the vacancy trends, population, and migration. An exit strategy is a design that you have in place to return the investor’s money plus more. There are four different methods for raising money using creative financing. They are the master lease agreement, seller carry first mortgage, seller carry second mortgage, and the hard money loan. 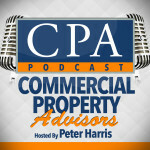 A podcast on buying commercial real estate without banks. This is an example of how to use creative financing to help raise capital or structure a deal where the capital requirement is very small. This is an actual deal from one of our students. A three-story office building that is 40% vacant or 60% occupied is considered a high risk investment, which means it will not qualify for a typical loan. The property does not generate enough money to pay for the loan, because of it’s high vacancy levels. Even though a typical bank wouldn’t loan on this property, a hard money lender would. The seller was willing to sell for $1 million, but if the property goes from 60% occupied to 90% occupied, it would be worth $1.6 million. That’s a $650,000 upside if the property was purchased, fixed up, and reached at least a 90% occupancy. A typical hard money lender would lend about 70% of that million dollars on the deal. This means that they gave our student a loan for $700,000, which made the down payment $300,000. But what do you do if you do not have that $300,000? In this example, we negotiated with the seller for the seller to carry a second mortgage in the amount of $250,000. So my student’s down payment was only $50,000. The reason the seller was willing to be in second position for so much money is because the property was distressed and if he had just put it out on the market and sold it as is, he would have most likely only gotten half of what he was asking for. We agreed to give him the 1 million dollars so he was willing to hold the second mortgage in order to get the deal done. So my student got the deal financed and closed, and over the next year he was able to secure a 90% occupancy. The hard money loan was only good for one year so at that point my student went to a local lender and put a longterm loan on the property to pay off the hard money loan, and let it cash flow. The exit strategy is to get out of the hard money loan by putting longterm permanent financing on the property and letting it cash flow. That’s using creative financing to create a win-win-win situation for all. Win for you, win for the seller, because he got a million dollars, and a win for the lender who gets their equity requirements taken care of. 3. Raising Money For Commercial Real Estate Using Self-Directed IRAs. In this case you can use your own self-directed IRA or someone else’s to fund your down payment. You can partner someone that has a self directed IRA and they can help you fund the deal. Did you know that there’s close to 8 trillion dollars sitting in IRA accounts today? What did you earn last year in your IRA or 401K? 3, or 4, or 5%? That small of an amount will not get you anywhere close to retirement. I personally coach syndicators and their goal is to double their investor money in five years. That means a good 20% return over the next five consecutive years. It’s doable and it’s being done. Direct Purchase: Where the IRA buys the entire property outright using funds in the accounts. Mortgaged Backed Purchase: Basically you would use an IRA as a down payment against a mortgage to buy the property. LLC, a limited liability corporation: In this case, the IRA holds an interest in the LLC, rather than title to the investment. The property’s buyer is the IRA, not you. All of the expenses and income must go through the IRA. Expenses must be paid directly by the IRA and any income must remain in the IRA. You cannot use the property for personal reasons. The property must be treated as an investment, not for your immediate benefit or your family’s benefit. It’s for the IRA’s benefit only. All of your maintenance repairs on the property must be done by a third-party. If the IRA owner, provides any sweat equity like changing a light bulb in the property, there could be significant penalties. Crowdfunding is a method of raising capital through the collective efforts of friends, family, and individual investors. This approach taps into a larger pool of people in an online platform called a crowdfunding platform, and it leverages their networks for greater outreach and exposure. Let me put it in layman’s terms for you, you have a internet company that goes out and recruits rich people to put money into their company. Then the company goes out and recruits the person needing the down payment, and inputs their deals into the system. The system will then decide if the deal is approved to use the investor money or not. This process is done completely online. Go to a crowdfunding platform like Realty Mogul or Realty Share and submit an application. Put in all of your deal information and everything you need. Once the deal is approved there is an approval process, that requires additional information about your background. If that’s approved, they’re going to send your deal out to their platform’s investors to gain attention and get funded. Then once the capital goal is reached, it can anywhere from 24 hours to a month altogether to get the deal funded. Once you’re approved, the money’s dispersed right away. The drawback to this is you can spend a month trying to get your deal funded through crowdfunding, but if you only reach 90% of your goal, you get none of it after it expires. One of the most important parts to getting approved for a crowdfunding down payment is that you must be experienced, have a track record, and some funds to invest. If you’re a beginner than most likely, crowdfunding is not for you. Peer-to-peer lending is peer-to-peer. The first peer is the internet portal that rich investors put their money into for return on investment from you. The first peer in peer-to-peer is the investor, the second peer in peer-to-peer is you, and in between that is an online platform that makes sure the investor’s needs are met, as well as qualifying you as a borrower. Have you heard of companies like Lending Club, or SoFi, or Prosper? Those are peer-to-peer lenders. It’s an online platform that gathers people to invest in each other. This is something my team only uses for small deals requiring between $25,000 and $100,000. We had a student that needed $60,000 to close a small commercial property deal. He had a good job, good credit, decent income, and was able to borrow the entire down payment at 7% for five years through peer to peer lending. With peer-to-peer lending the better your income and credit is, the lower the interest rate is. You also have to factor that loan into your overall returns. If you look at a simple analysis of commercial property, we have income minus expenses minus the mortgage equals cash flow, right? If you use peer-to-peer lending, you have your income, minus expenses, minus your mortgage, minus your peer-to-peer loan, equals your cash flow. In other words, make sure that your deal can afford peer to peer lending. 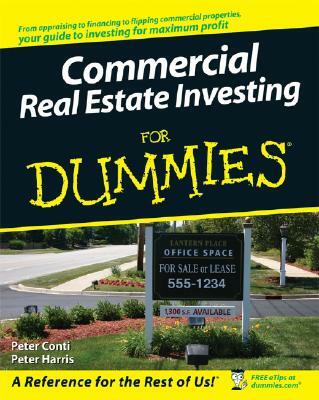 Most of our students have limited funds to invest in commercial real estate, yet they do have a great desire to do so. We have a whole program to teach them how to wholesale their deal to buyers to create capital for themselves. If they do this multiple times, they can stack up and raise their capital so that they have enough money to do their own deals. Basically, what they do is find a deal, get the deal under contract, and then flip it to a buyer for a fee. You can do this several times and the goal there is to build up your own down payment. Consequently, if you do not have a lot of money; you can still raise money for commercial real estate by wholesaling your deal. I was in sort of a mastermind buddy group, where most of us had exhausted our personal money, and were forced to go out and raise the money. I found an investor who was actually a coworker of mine. We found a small deal, which is a great starting point for a beginner investor. Small deal equals small mistakes, and small deal equals small amount of money to raise, which this was the case. It was an 11-unit apartment rehab project. It was very light rehab, I’m talking just paint and get rid of a few bad tenants. As your first deal, you do not want to do extensive rehab, or do a whole bunch of evictions, You just want to keep it nice and simple. After I negotiated and got the property under contract we flew down to the property together. I wanted him and I to both be convinced that the deal was very doable. My investor put up the entire $66,000 down payment, but we applied for the loan together, which means both of us would have skin in the game. I wanted to show my commitment to the deal, because, he was the one putting in all of the money. So by putting my name on the loan I was putting my credit and holdings at risk if the deal was to fail. We were personally guaranteeing this loan. My attorney drafted up the LLC and we closed on our project. I did all of the asset management; oversaw the manager, made sure the bills were paid, and took care of the taxes at the end of the year. This means I was able to collect an asset management fee every month. After about 18 months we sold the property and we split the profits 75/25. 75% to him, 25% to me. I gave my investor a large split because I wanted to gain some experience on how to raise capital for deals. I wanted to show potential future investors that I had already raised money and had a project succeed. Equally important, I wanted my investor to reinvest with me, and I thought it was enticing for him to receive a larger split. As you get into syndication and learn more about it, you’ll see that that split is quite normal. Hi there. Thank you for all the information. I am very interested in commercial property energy upgrades. I want to find properties, install solar panels and give away power to tenants, then recoup by raising the rent. All bills paid with extra income from the electricity. I’m adding the tenants light bill as new revenue stream on property. We can hold on to them for years or sell for a profit. I’d love more mentoring as I am new to this. I’m an expert in clean energy upgrades and a novice investor. Looking for investor partners. Could you explain how you got $1.6 million on a 90% occupancy when 60% occupancy value is $1 million. I am getting $1.5 million at 90% occupancy.